Constructed in 1964, the Legion Memorial Rink (220 Bedbrook Avenue) is open from late September until early April. 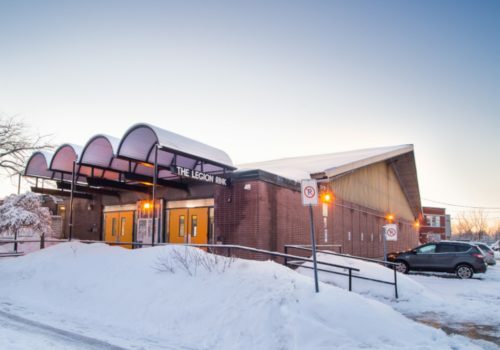 The arena is host to activities run by the Montreal West Civic Recreation Association, private contracts and public skate. Sundays 1:00 – 2:20 p.m.
Mondays 4:30 – 5:50 p.m.
Fridays 3:00 – 3:50 p.m. The ice surface is rented at a rate of $165 per hour plus tax. Contact us for any inquiries about availability. 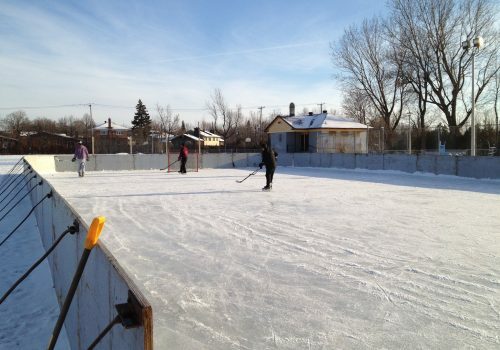 The Town has three outdoor rinks (weather permitting), two are located at Hodgson Field (one small skating only and one with boards) and the other one is located at Rugby park. Updates on the rink conditions will be posted once the rinks are open. Please note that rink conditions are only updated from Monday to Friday. The outdoor rinks are now closed.